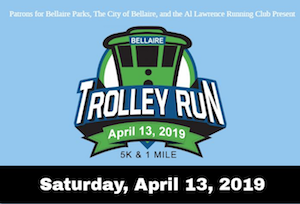 Grab your running shoes and come join the hundreds of runners for the 24th Annual Bellaire Trolley Run hosted by the City of Bellaire, Patrons for Bellaire Parks and the Al Lawrence Running Club. 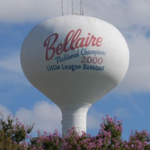 The race will be held Saturday, April 13th, starting with the 1 Mile Family/Kids Race at 7:30 a.m., followed by the wheelchair division at 7:50 a.m., the 5K at 8:00 a.m, and the 5k stroller division at 8:10 a.m.
Race start is located at 7008 South Rice Ave (Bellaire City Hall). After the race is when the real fun begins with our famous Post-Race Party! 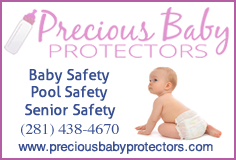 We will have great vendors and exciting door prizes. Registration is now open! 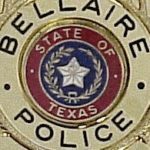 You can register here or in person at the Bellaire Recreation Center. 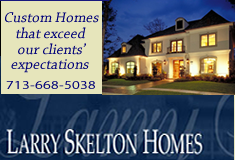 Please call 713-662-8280 for any other questions.